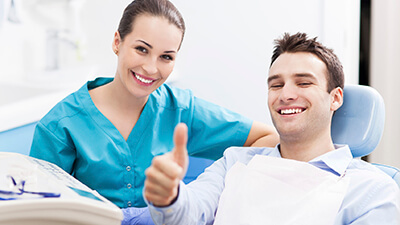 Renewing oral health following dental damage or decay can be a challenge, but at Campbell & Schmidt Cosmetic & Family Dentistry, we are dedicated to offering comprehensive dental care in one convenient location. Even complex procedures such as dental implant supported tooth replacement are completed in our practice. We partner with Dr. Michelle Zmick to provide advanced periodontal therapies, and we work with local specialists to provide patients the safest and most effective wisdom tooth extractions and root canal therapies. For most other restorative services, Drs. Campbell and Schmidt are proud to provide patients the highest quality care. Contact our team to find out more. Traditionally, repairing damaged teeth required two appointments in our office. One to prepare teeth and design a restoration that would be crafted in a dental lab and another to place the custom solution. Today, we utilize computer assisted design and manufacture technology to complete the entire restoration process in just one visit. Now there’s no need to schedule multiple appointments or place and remove a temporary. 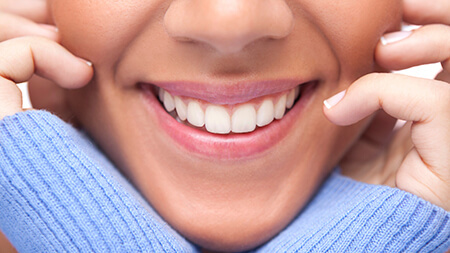 Simply come into our office with a damaged tooth and leave the same day with a flawless smile. Traditional dental crowns allow our team to repair even the most severe tooth decay or damage by covering the remaining dental structure with a specially-crafted dental crown to restore the shape and strength of damaged teeth. 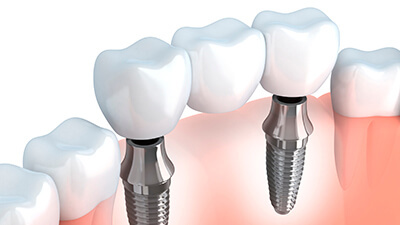 Dental crowns can also be paired with implant posts or attached to surrounding healthy teeth to replace one to three consecutive missing teeth. Traditionally, patients should plan to visit our office at least two times to complete treatment one to prepare the damaged tooth and a second visit to place a restoration. We also offer same day restorations using the E4D system. Composite fillings are an advanced, aesthetically pleasing method of treating tooth decay. 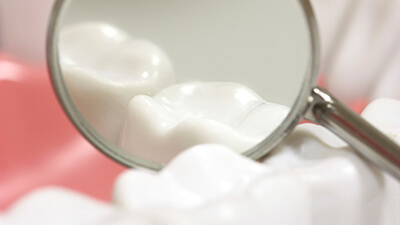 Worn or broken teeth may also be repaired with fillings. The shade of these fillings is matched to the color of teeth to create a more natural appearance than is possible with metal fillings. In addition, composite fillings are stronger than their metal counterparts, bonding to the chemical structure of the tooth for support. These fillings improve the durability and health of teeth which have partially decayed. For this reason, composite fillings have emerged as an advanced alternative to metal restorations. Besides being undetectable, our fillings can be trimmed and polished to match the shape and texture of your teeth perfectly. Partial and full dentures are the ideal solution for significant tooth loss. Partial dentures, or simply partials, allow our team to replace any number of consecutive and nonconsecutive teeth by attaching prosthetic teeth to a gum colored base. Partials fill the gaps in patients’ smile and attach to remaining healthy teeth using metallic clasps. 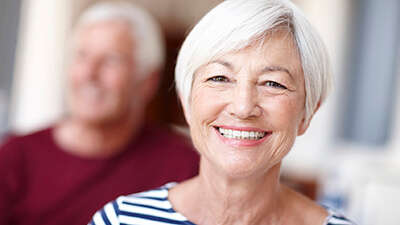 Full dentures are crafted by connecting a row of replacement teeth to a base that is molded to fit against the gum line held in place through natural suction. Most dental and orthodontic treatments are focused on how teeth interact when the bite comes together, but oral myology is treatment of the workings of the bones, muscles, and joints of the face when teeth are apart. This is another way we offer a different sort of treatment for patients with airway focused dentistry. Oral myology functional therapy allows our team to work with patients to achieve the greatest comfort and optimal function of their orofacial structures at all times.